There’s a muted start to the week domestically with a Bank Holiday, the start of half term and Parliament in recess. But in Brussels on Monday there’s no such respite for Europe’s foreign ministers as they continue discussions on the Iran nuclear agreement and the suggestion by US Secretary of State Mike Pompeo that Tehran would face the “strongest sanctions in history” if it did not comply with a list of 12 demands. Also on the agenda are Nicolas Maduro’s election victory in Venezuela, the resurfacing of Ebola cases in DRC, and the fallout from political violence in Gaza. Tuesday marks the end of the long-running search for Flight MH370, the Malaysia Airlines plane which disappeared from radar screens on March 8, 2014 with 239 passengers on board. The Malaysian government announced last week that the contract to operate the hunt would not be renewed after four years of searching produced no definitive results. British Gas is set to hike prices by an average of 5.5 per cent from Tuesday, in a move which means customers are now likely to be paying around £1,160 extra each year. The supplier, whose owner Centrica is cutting thousands of jobs amid tumbling profits, blames the increase on rising wholesale gas and electricity prices. After meeting with Russian President Vladimir Putin last week, Emmanuel Macron is back in Paris to deliver the opening speech at the annual meeting of the Organisation for Economic Co-operation and Development Ministerial Council Meeting on Wednesday. As part of the gathering, the group also publishes its Economic Outlook for the coming two years. The OECD has previously not held back in suggesting that reversing the Brexit process would boost the UK’s economy, and has also warned that leaving the bloc would result in a fall in the value of the pound and a freeze in business investment. Leo Varadkar faces his regular round of questions from the Irish Parliament on Wednesday in a session which offers the first opportunity for members to grill the Taoiseach since last week’s referendum on abortion. 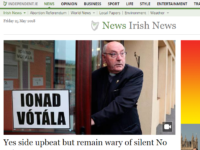 Varadkar, a vocal supporter of the “Yes” campaign, dismissed the possibility of a second referendum taking place under his government but admitted on the eve of the vote last week that he found a “No” vote “difficult to contemplate”. 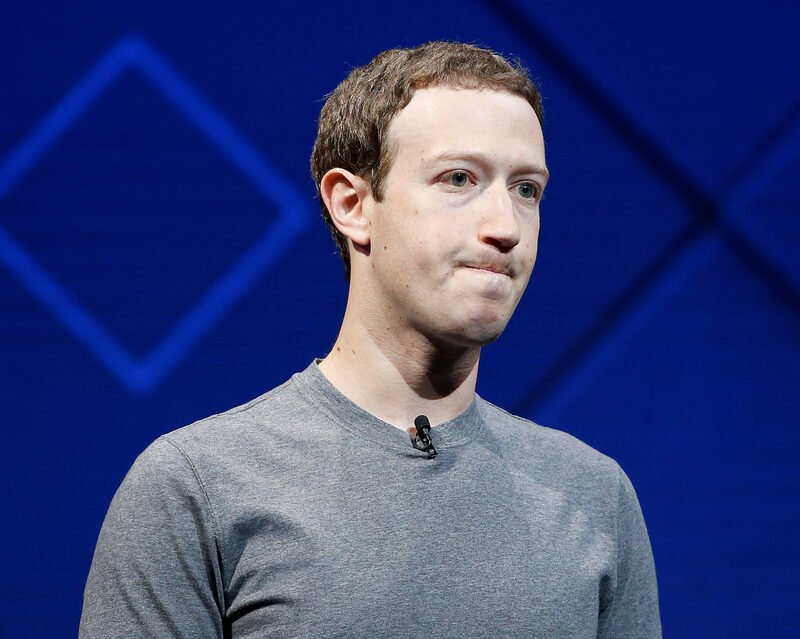 Recent scrutiny of Facebook is likely to intensify on Thursday when the social media giant could face a shareholder revolt at its general meeting. Mark Zuckerberg (pictured) faces six hostile motions from shareholders aimed at improving transparency in the corporation. Attendees will vote on whether to implement a “one share, one vote” system, effectively breaking Zuckerberg’s control over the company. Although the chief executive owns just 14 per cent of the company, his “class B” shares are worth 10 votes to each class A share, meaning Zuckerberg still controls a majority of votes. Friday could see a dramatic escalation of Donald Trump’s trade war as US tariff exemptions for Canada, Mexico and the EU come to an end, and diplomats will have been scrambling to reach an agreement to avoid import taxes of 25 per cent on steel and 10 per cent on aluminium. US allies were granted a brief reprieve when the original 1 May deadline was pushed back by 30 days, but the White House has since signalled that it will not grant any further extensions. On Friday evening, the IISS’s Shangri-La Dialog opens in Singapore, a major security conference featuring heads of state from across the Asia-Pacific region. Indian Prime Minister Narendra Modi delivers what’s being billed as a major speech to open the conference, and on Saturday the US Defense Secretary James Mattis will discuss America’s role in regional security before a timely session on de-escalating the North Korean crisis. Meanwhile, friend of Donald Trump and “MAGA” (Make America Great Again) hat owner Kanye West releases his eight and as-yet untitled solo album. It follows a number of bizarre statements by the rapper, who has claimed in recent weeks to share “dragon energy” with Trump and suggested that African-Americans chose to be enslaved. England continue preparations for the World Cup with a friendly warm-up match against Nigeria on Saturday. Gareth Southgate’s men will line up for the first time since Spurs striker Harry Kane was named captain for the tournament and made the bold claim that an England team would enter a tournament with the aim of winning it. There’s another important milestone for The Queen on Saturday: the 65th anniversary of her coronation, the first ever to be televised. After several weeks under the Royal wedding spotlight, the Windsor family’s celebrations may be a little less lavish for this occasion. On Sunday, voters go to the polls in Slovenia where the anti-immigration SDS party looks set to emulate the success of nationalist parties in recent elections in Hungary and Italy. The party, led by two-time Prime Minister Janez Jansa, is ahead in the polls but will need the support of other parties in order to form a government. And the first anniversary of the London Bridge terror attack will be marked with a minute’s silence on Sunday afternoon in memory of the eight people who lost their lives last year.